The new Plaza events kick off with a host of musical acts from the Purbrook Park Music School, featuring a DJ , Street Dance Crew , solo singer, acoustic acts and a Band, while the weather was somewhat windy this did not deter them from entertaining the crowds who turned up for this the inaugural Playing on the Plaza 2013. To the side is a short slide show of photos of the day and below is a video from Nevarda Music youtube Channel.  On a stunning hot afternoon locals acts took to the Nevada Music stage on the Hayling island East Stoke Corner for another "Playing on the Plaza". LINE UP WAS - WENDY ADAM EVANS MARK HANDLEY IGLOO MUSIC CHOIR NEKO ROSHI KEMPES Photos from Perfect-Photo First up was WENDY ADAM EVANS , a local Professional singer/entertainer with her own unique style that had the already settled crowd singing along, from Sea Shantys to ABBA through to Queen!! no one can deny the sheer diversity of music that Wendy brought to the show, highlights included a couple of nice sing alongs where Wendy managed to involve some children up onto the stage to help out complete with props brought along by Wendy!, which went down really well. A personal highlight was an unexpected version on "Bohemian Rhasody!" by Queen including all the opera parts and most importantly the "Head Banging" section!! Then 30 Igloo Members took to the stage to perform together in front of an audience of 300 sunbathing music lovers on Eastoke Point on Hayling Island. In the fabulous summer weather, members from the choir, Hayling and Portchester ukulele clubs, Rock and Blues Guitar group and private singing and guitar students all performed a range of well known cover songs, and received great applause. Many members of the public commented how "the choir sounds great" singing their 3 original songs written by choir members. After the event, many performers commented on how enjoyable the performance had been - "thank you so much for today - I loved it!!" said Viv, a member of the choir, who had also joined Wendy Adams-Evans, another local entertainer, to sing impromptu backing vocals with Sarah and Tania, fellow choir members. 'Kempes was formed by 4 locals, on Hayling Island back in 1996. They enjoyed a successful period of 3 albums and one EP and a long list of gigs in the UK and France, to be proud of. After a lengthy break the band reformed in the winter of 2012, it was the first time the 4 original members had converged in approximately 11 years.  When the offer of a gig on Hayling came in, they jumped at the chance. There were a lot of familiar faces, some they hadn't seen for years, and a new generation of fans. It was a stark reminder of what fuelled the band's momentum; the love of music and bringing people together. At the end of the day, after much applause had been heard and much sunscreen had been used, Dale Norman, initiator of Play On The Plaza in 2007, was thrilled with the success of the event.